There’s a big difference between learning science abstractly and learning it first hand right along side experts. This is an opportunity through the Grand Rapids Whitewater program that has become much bigger; it’s now about a river restoration project. 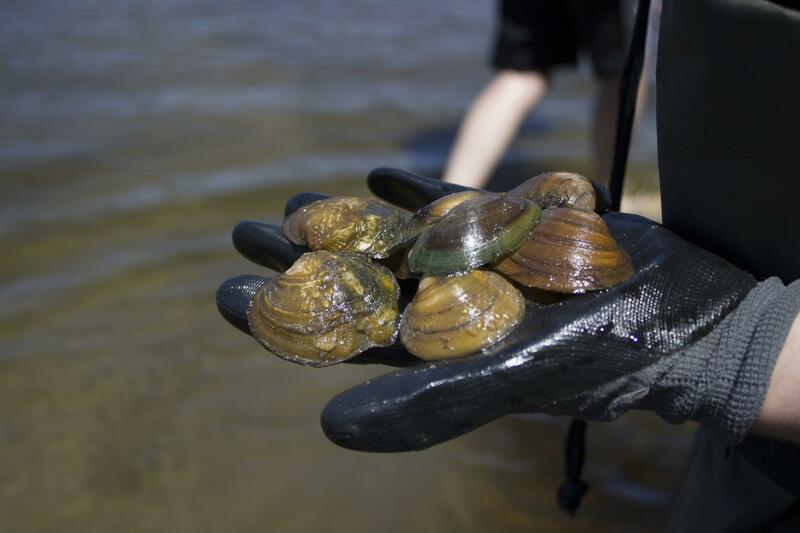 Local students taking part in Grand Rapids Whitewater’s 2-week Summer Science and Leadership program learned more about mussels in the Grand. 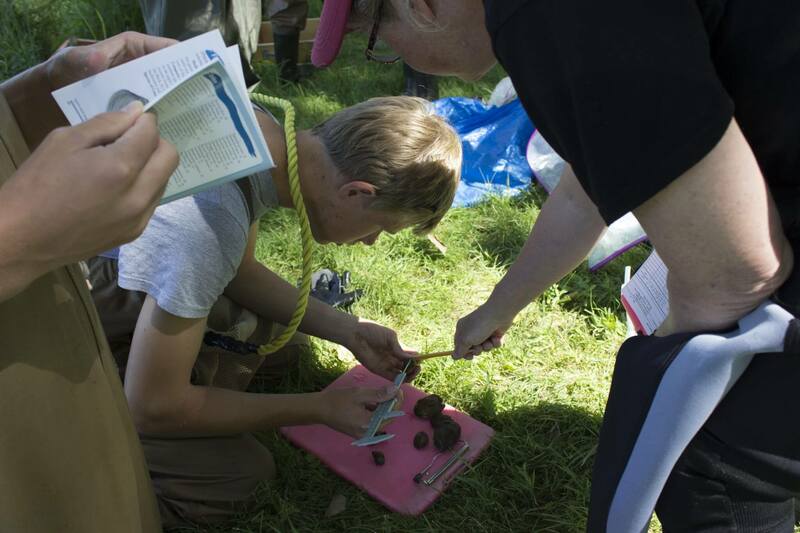 Students collected and identified mussels at Riverside Park in an attempt to further understand how important mussels are to the ecosystem. The students were excited to be apart of the research and learn more about the River. Vian Abdulqader, Forest Hills Northern High School student, said “Gathering samples, numbers, information, that way it can lead to information about, ‘Hey these aren’t supposed to be here, or we need more of these’, therefore, we can be like, ‘We need to make these changes to the river to restore it to what it was, the beautiful rapids it used to have,'”. 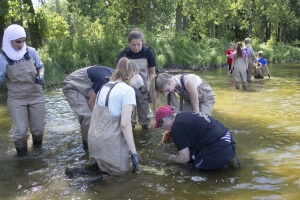 GRWW organizers launched The Summer Science and Leadership program as a 10-day pilot program to provide students with hands-on opportunities to learn about the many aspects of the Grand River Restoration project. 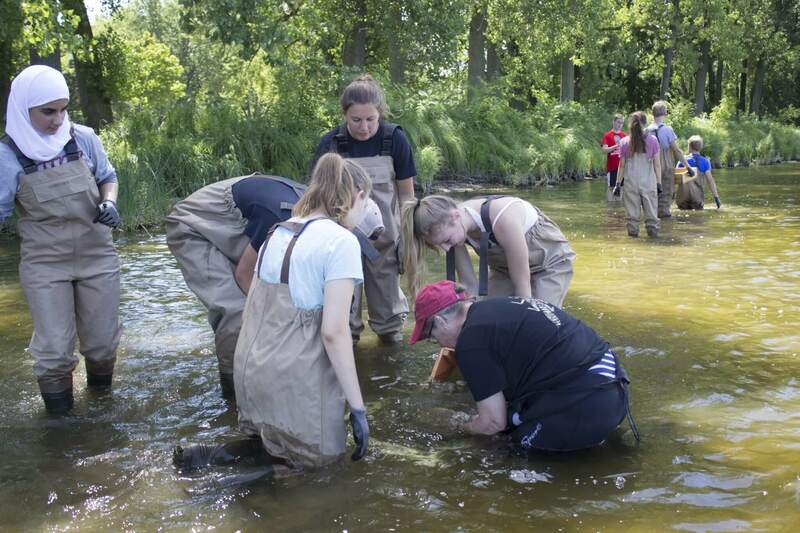 Students will meet a handful of community leaders, environmental educators, and project stakeholders as they explore their own connection to the Grand River. At the end of the 10-day program, students will present their findings and talk about their experiences at a “Gallery Walk” event being held Tuesday July 24 at the Grand Rapids Public Museum from 5:oo-7:30p.m. This year’s program hosted nine students. The goal is to expand the program in the future to a diverse group of students from around the county and region. Grand Rapids Whitewater would like to thank our collaborative partners at the Lower Grand River Organization of Watersheds (LGROW) and the Grand Rapids Public Museum for their help and support of this program. Special thanks to our friends at Fox 17 News for covering this story!